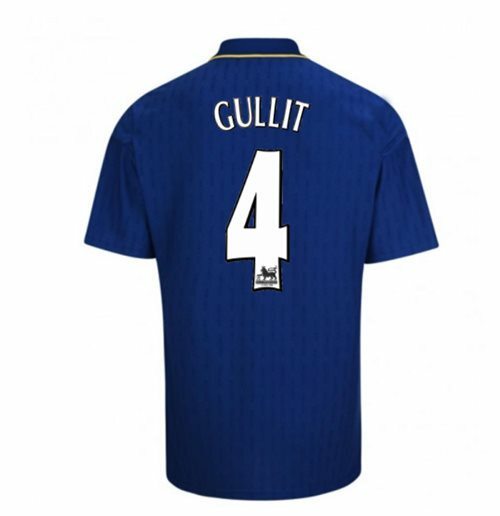 1997-98 Chelsea Fa Cup Final Shirt (Gullit 4). OfficialRuud Gullit footballshirtfor the Chelsea 1997 team. This is the Chelsea homeshirtfor the 97 Fa Cup Final and is available in adult sizes S, M, L, XL, XXL, XXXL and kids sizes small boys, medium boys, large boys, XL boys.This Chelsea footballshirtis Blue in colour and comes withRuud Gullitshirtprintingon the jersey.